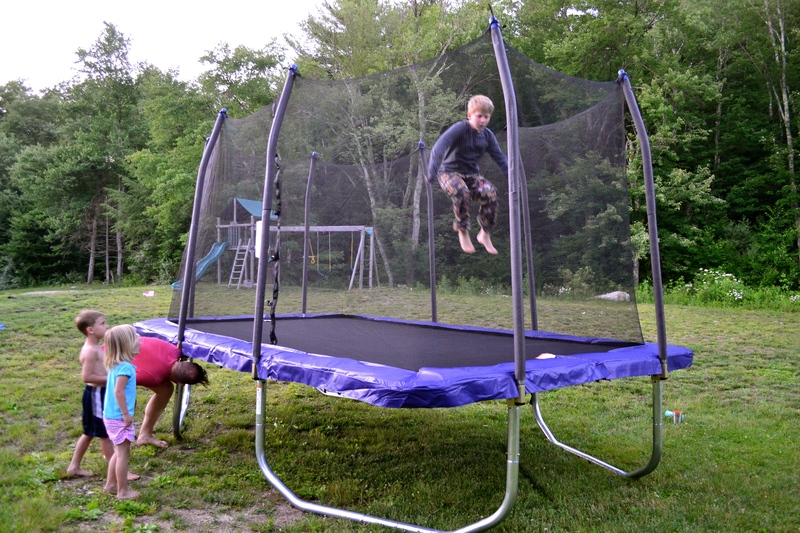 he and the kids put together a new trampoline!!!!!!!!!!!!!!!!!!!!!!!! Rich is a quiet, orderly leader and teacher. They had everything out of the boxes and lined up together. The back of the truck had tools and the small pieces. They played music from the truck radio as they worked. It was a calm and pleasant work environment. Seth was begging me to play with him. We played catch for quite a while. Every time he had to chase the ball I did cartwheels. 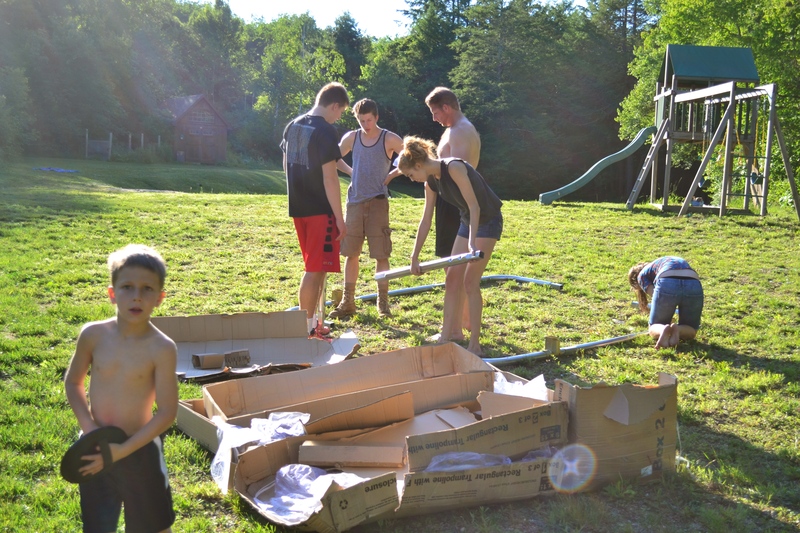 At one point Grace was busy with fitting the pipes together and Ethan was busy working on another section. Emily and Jacob had nothing to do so they were fooling around….Grace reprimanded, “Why don’t you guys HELP ETHAN?” There was a short pause before Emily retorted, “Why don’t we help YOU?” Grace thought about it and said, “Point taken.” The answer? They don’t WANT HELP. The whole process took several hours. At this point I was sitting on the back of the truck reading my book and keeping my eagle eye on them. 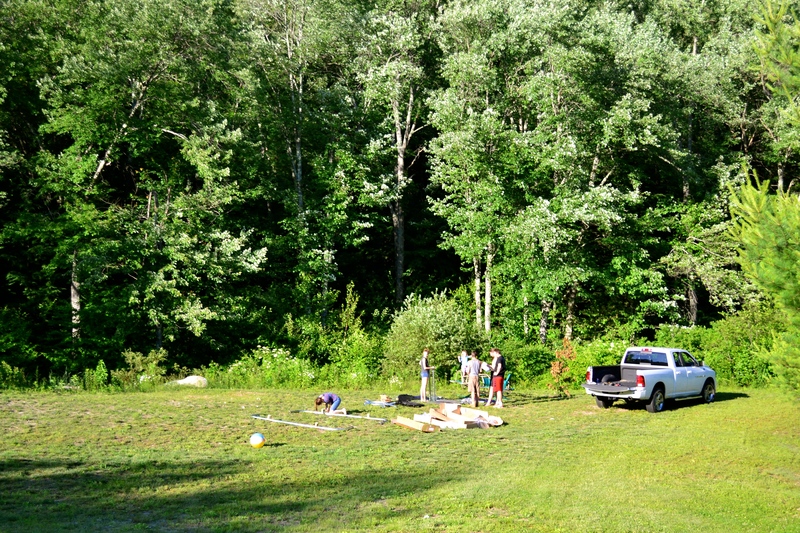 What a blessing to have a willing work crew. 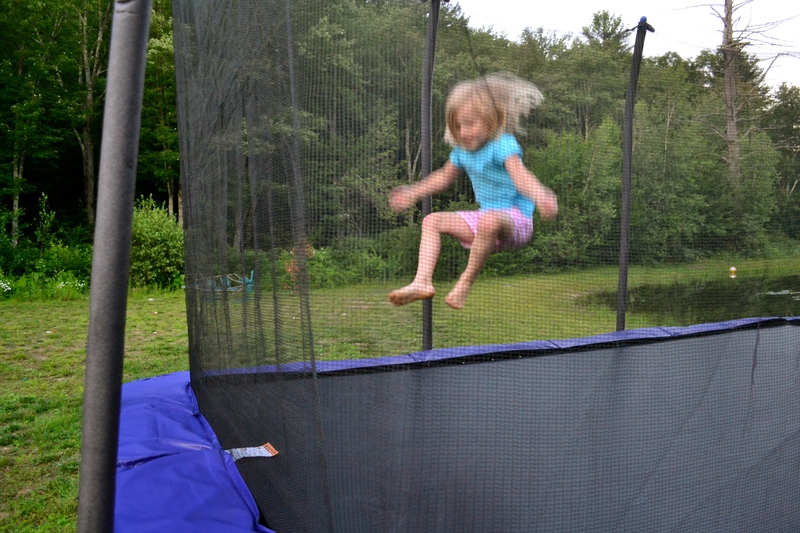 Emily and Grace were the first to jump. This was about 8pm last night. Then Caleb had a turn. 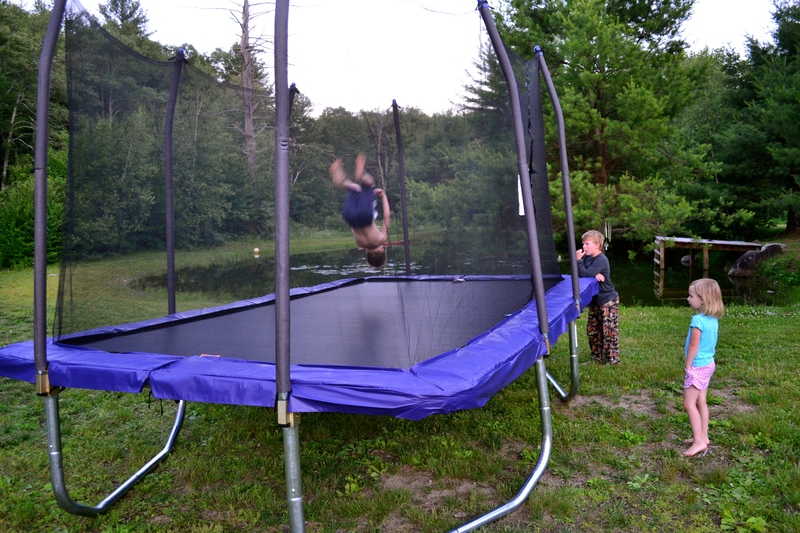 This trampoline is a little smaller than our old one. 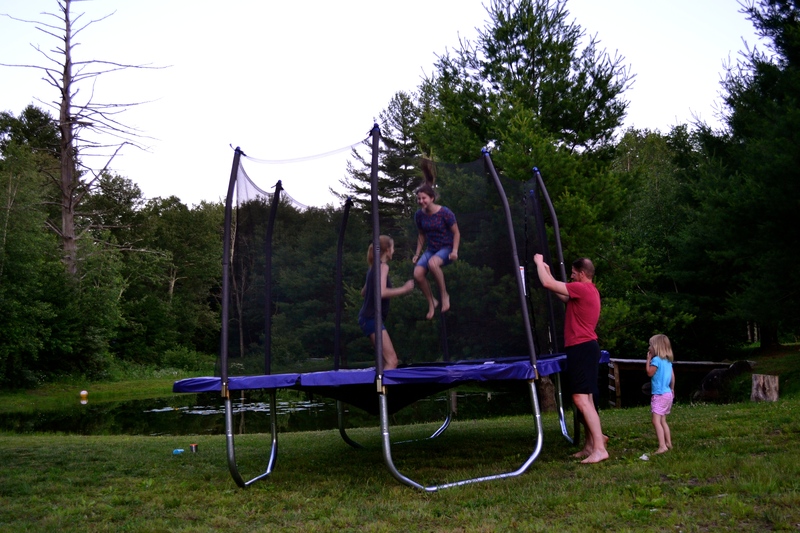 We had to take the old one down because we had it for so long it wasn’t as bouncy as it should be and the net was gone. It was basically, in my humble mama’s opinion, an accident waiting to happen or perhaps even a death trap. I begged Rich to take it down before Jacob’s party and he did…but he and the kids were so sad that he ordered this new one the very same day. It’s rectangle shaped and the net is secure all around the bottom, I can rest easy knowing that my babies are safe as they bounce. I’m just saying, we do have our limits. 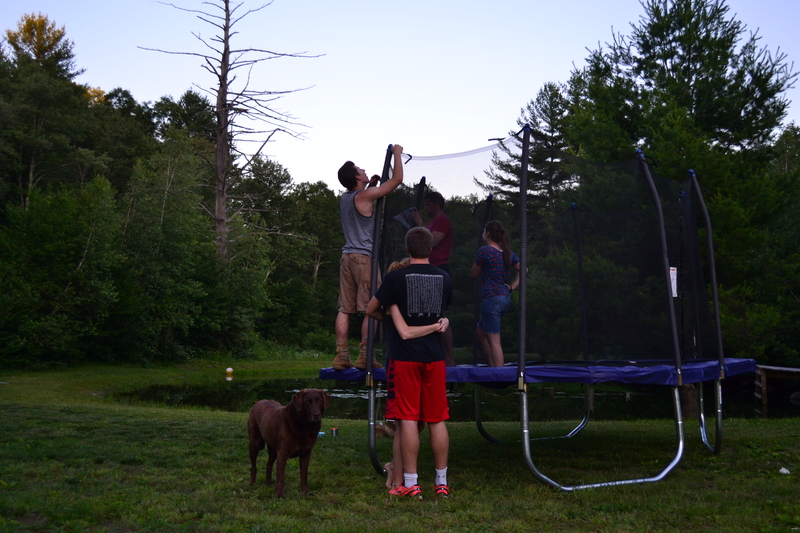 The trampoline was a job well done. 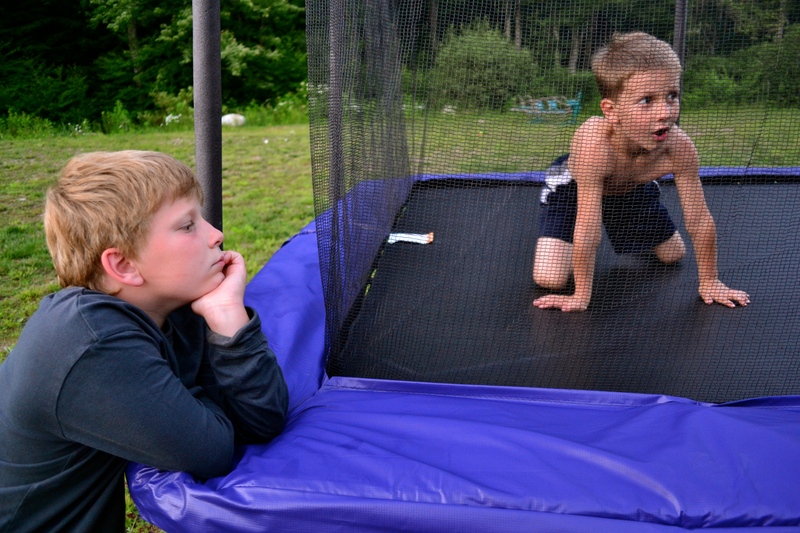 Caleb just asked me what we were doing today and the answer is: JUMP. This entry was posted in a simply lovely life, family and tagged large family, myhusband by Shanda. Bookmark the permalink. 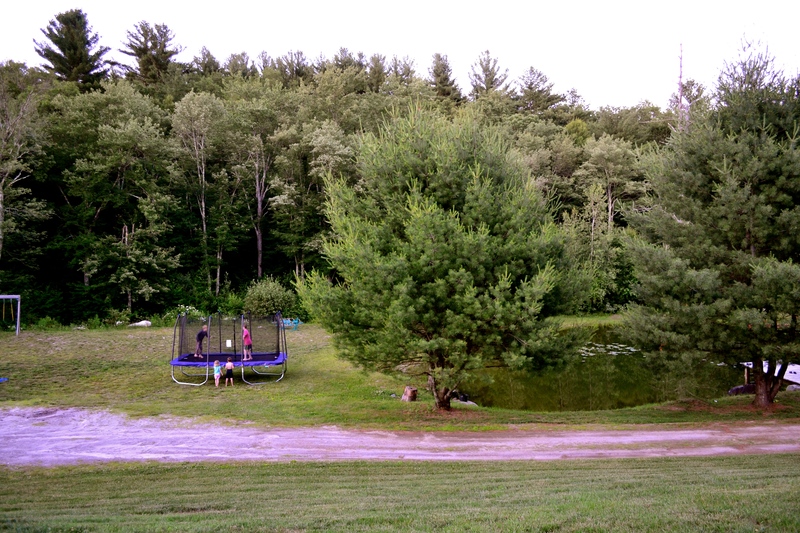 That trampoline looks safe. My baby who is in 6th grade was jumping on the neighbors trampoline and broke his arm! But I’m not sure they had the net. 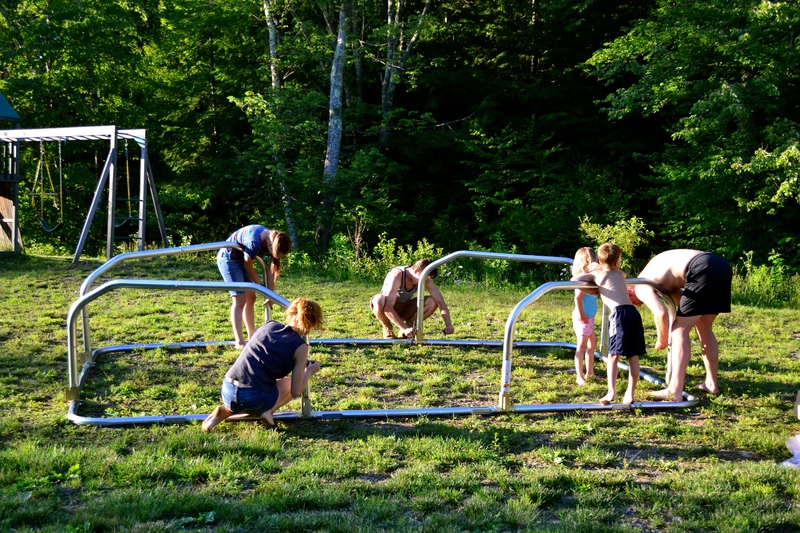 Hopefully they went outside and jumped a lot today instead of making messes inside. Happy jumping. the music you picked, the bible quote and the sweet pictures….SO GOOD!